A - wing F - 104, Opposite B-ward office, Khadakpada, Kalyan(West), Mumbai - 421301, Maharastra, India. 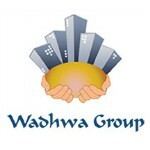 Welcome to the 2-decade old, reputed Wadhwa Group - a household name when it comes to residences in the midway suburbs of Mumbai - covering Thane, Kalyan, Dombivali, Ulhasnagar, Ambarnath, Badlapur and more. With over 30 residential as well as commercial projects to their credit, the Wadhwa Group is moving from strength to strength, creating landmarks of lasting value that are changing the face of the suburbs, enriching and uplifting lifestyles as well as creating architectural history in its own way.